Just call me the Iron Killer. Iron Serial killer. Iron Torturer. Iron Mangler. Iron Abuser. Any and all irons call me foe. I am quite rough on them. 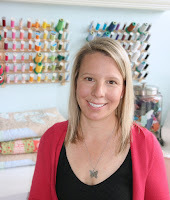 Not only do I quilt and sew. I *think* I am one of few quilters that actually use my irons for the laundry? 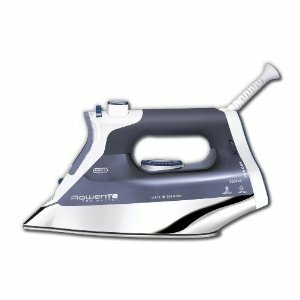 I have abused three Rowenta irons in particular the last several years. I have kept the one above as my backup, but her water tank leaks, so I just use a spray bottle. In it's defense, it was one where you remove the water tank and can fill it. 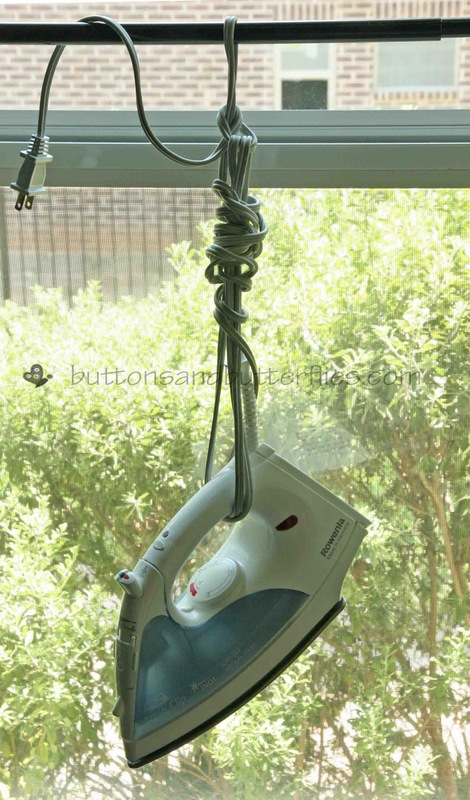 I have decided that any irons that have extra gadgets like that or self-winding cords? There are more things to break! I relegated it as my quilting iron since I don't need steam, right? but she started leaking too. Probably from mineral build-up from our hard water? When I cleaned it out with a vinegar/water mixture...I had a mess. Mr. Boss has decided that I just plain wear them out. When you iron your kids t-shirts and have been known to even iron underwear...you have ironing issues right? I have had her a week and she seems at home on my cutting/pressing island in my studio. I named her Sassy, since she is hot and sassy. 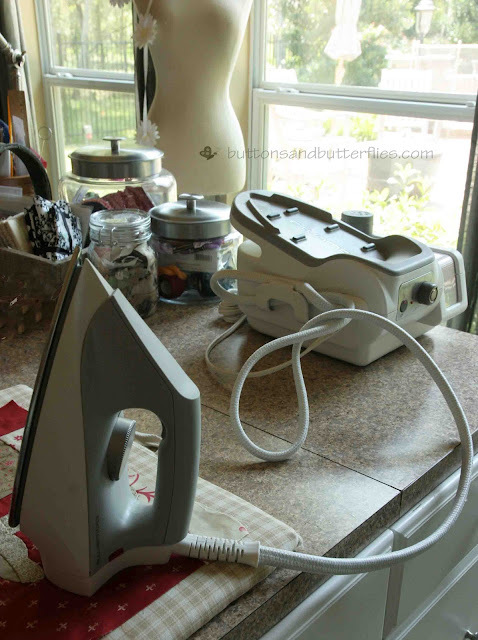 I love that the steam runs from the large unit and doesn't "sit" in my iron anymore! And their is still the option of just using the iron without steam. And when she is hot, I can rest her in the station. No worries about burning my ironing board! Mr. Boss was VERY skeptical when I brought her home....but when he saw me press some very difficult creases out of my fabric? He was sold! Don't tell him, but it cut down my ironing time. I don't know the exact amount, but I was sure surprised when I looked up at the clock and was finished so quickly! I don't want him to know because I can pretend I am sweating away ironing all day, when really? I am working on another Merry, Merry Snowman Block...since I finished Block One this week! I hope I can rave about my iron in the future. She sure is pretty nice right now! Now that is an iron!! I killed the one Rowenta I owned and went with a Walmart cheapo. 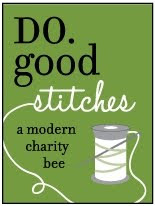 Maybe I should start saving up for that after I get over the shock of paying for a new sewing machine. wow... that IS an iron!!! Love it. Mine is ancient, might need to save up and upgrade! He, he!!!!! It is a common joke that the local ladies tease me about. Admit that you iron a certain pair of underwear and you can NEVER live it down! Thanks for the Block love...I don't want you to look too closely at my non-circular snow balls!!! 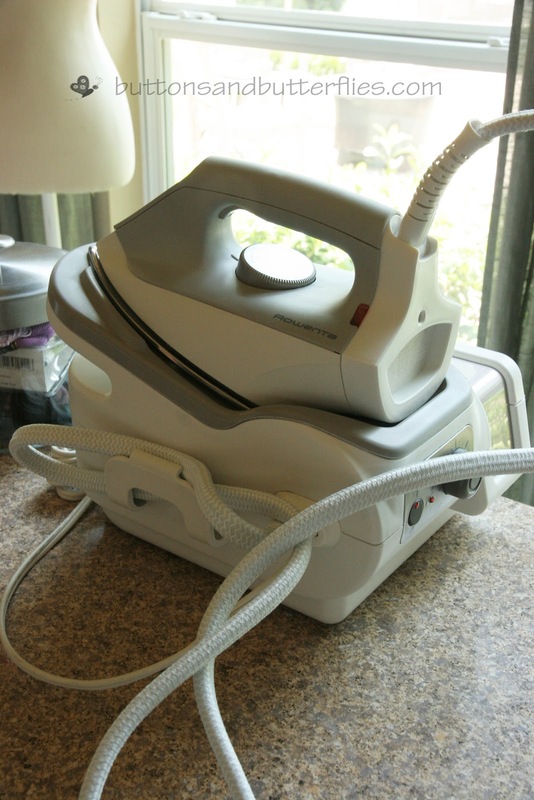 I have an iron like one pictured first. It was also leaking from the tank. I got in touch with Rowenta and they sent me a free replacement tank. I'd had the iron for over 5 years. Now that's what I call customer service. That's AWESOME! I am pretty sure mine is almost 10 years old, do you think they would replace it this far out?!??! Don't feel bad about killing iron's. I am the owner of 2 leaky irons. I do have the fancy retractable cord, but unless I'm storing the iron the cord stays out. Cute snowman block.